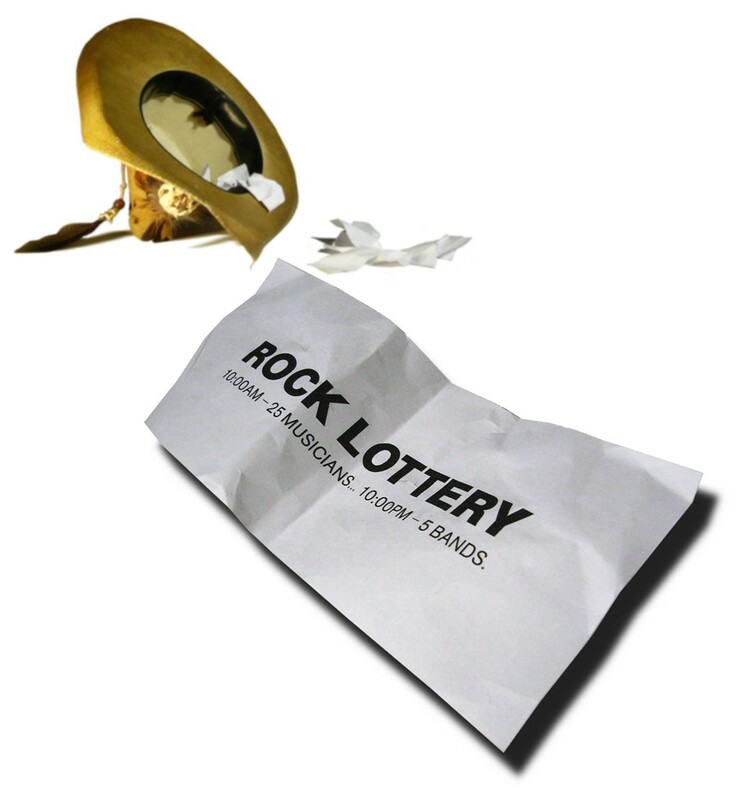 The Rock Lottery is simple, but effective. Twenty-five hand-picked musicians meet at 10:00AM at the evening’s performance venue. These volunteers are organized into five bands through a lottery-based chance selection. The five groups are released to practice at different locations. The musicians have twelve hours to agree upon a band name and create three to five songs (with a one cover song limit). The bands then return to the venue and perform what they have created in front of a waiting audience. The twenty-five musicians included in this experiment are carefully selected in an attempt to represent a wide variety of musical styles. This event will bring together many facets of the music community that may seem incompatible, as well as musicians whose interests may conflict. The challenge for these participants is to go beyond their personal and musical differences and work together to create a unified group project that still contains the personal styles of each of its members. NAMM 2016 – All The Music Gear You Could Ever Dream Up!